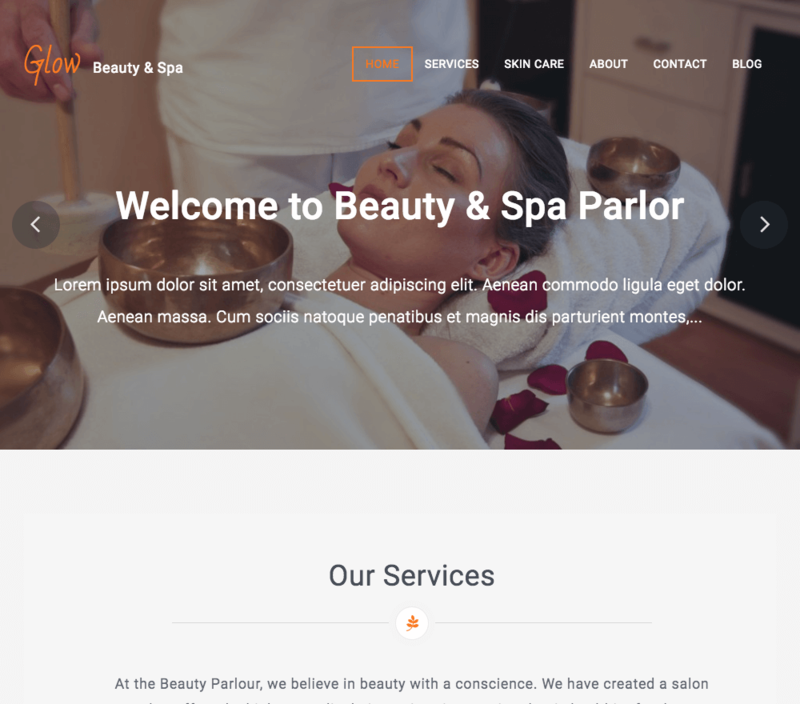 Glow is a massage center, beauty spa salon parlor responsive WordPress theme built with Bootstrap and is fully responsive for all the screen sizes. Glow is developed and designed with best practices in mind. This way, you can bet your new theme will work great. Keep your visitors communicating with you throughout the web! Glow includes social icons so your visitors can find you wherever you are. 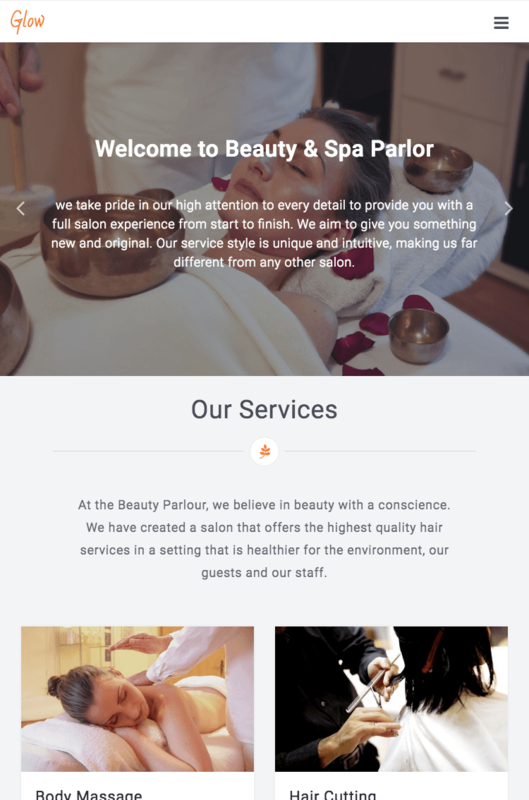 Highlight your posts with the exclusive touch and responsive slider in Glow. Simply choose what post category appear and enter number of posts. Glow gives you the flexibility and ease of use to display your content the way you want it without altering any code with our custom widgets. Build an extensive home page with various useful widget sections in it. Easily configure & drag / drop / reorder all sections right Order. Did you know there is a FREE version of Glow Pro? Glow is a free theme. Please only purchase the FameClub if you want our paid themes too.